After my visit to the brook a few days ago, I was back for more. On the days that I work from home it does mean that I have more flexibility; I save a three-hour car journey there and back for one, which frees up more real time. Up bright and early, I was at my home desk before taking a lunchtime break to set off for the tiny waterway. 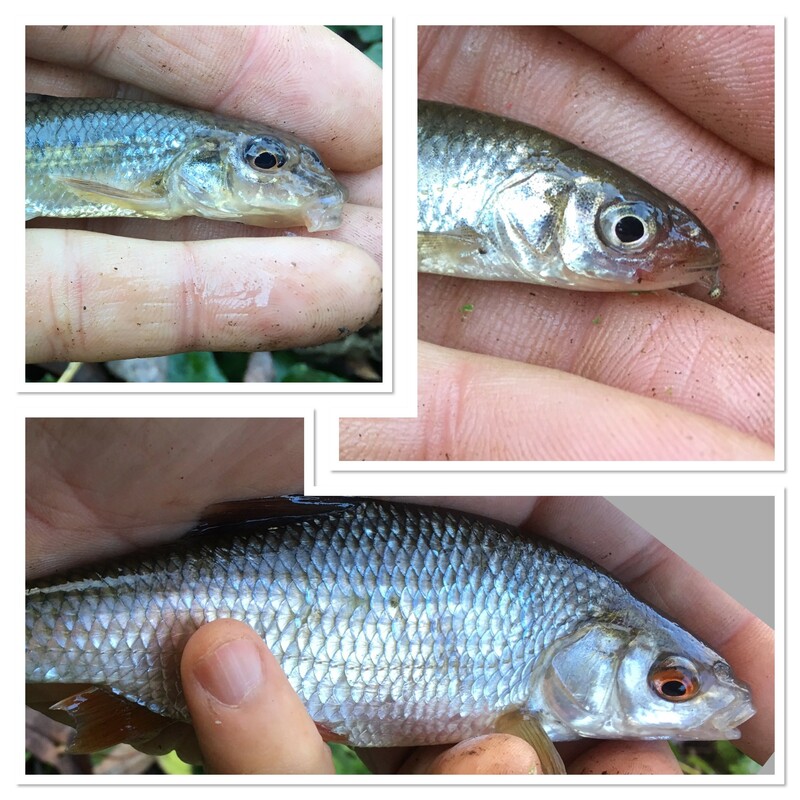 As well as the usual roach I also caught three gudgeon and two tiny chub. I’m still amazed that such a small venue can produce the variety of fish life that it does. It’s so shallow and only the bends have any sort of depth; it’s easy to understand why most anglers would just pass by. I’m glad that some time back I decided to give it a go. You often see on the internet where anglers are asking if this place is any good or whether there are any fish somewhere else. Don’t necessarily rely on others to point you in the right direction, do some exploring. You may be very surprised at what you find. I most certainly was. Although we live in an overcrowded country here in the UK, nevertheless there are plenty of opportunities to pioneer. Even on popular angling stretches it’s often just the car park swims that are fished. Walk on and you find the bank hasn’t been touched by an angler. The tackle that I fished with was as follows: John Wilson Masterline Debut quiver tip rod. Shimano 2500 DL2500FA reel. Maxima Chameleon 4lb mainline. Drennan Super Specialist size 18 micro barbed hook. Hooklength created by a bead and a size 4 Dinsmores split shot. Lead 1/4 ounce bomb. Bait was a single red maggot and I loose fed the same. Water temperature was 8.1C.